Natalie's only interest is in making a fresh start. 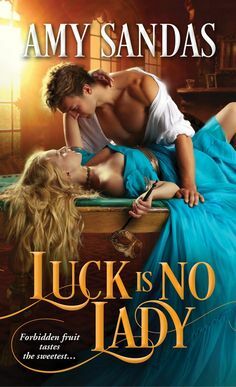 She's a woman with a plan, and the plan doesn't include a man with secrets, no matter how kind—or intoxicating—he is. But this cowboy is determined to break down her walls, keep her safe and make her his. Trevor was a hero that I just liked from the very beginning. He makes the best book boyfriend and so swoony, I just fell in love with him from the beginning and he is a cowboy to boot…so I fell for him pretty quickly. He is wonderful with kids, and most especially with Levi. I love how protective and caring he is of Natalie and her boy. I think what impressed me most is seeing the way he cares about others and that he takes action. And yes sometimes its on the edge of the law, but he tries to help those in need. Natalie once thought that she was in love when she married, but the moment she gave birth to her son Levi, her husband changed into a man she didn’t recognize. And the moment he started to get violent with her son, she left and they divorced and now she is working hard to rebuild her life. To get back her nursing license again, working two jobs, while having to share custody of her son despite the fact that he was abusive and doing her hardest to keep her son happy and upbeat. Natalie was a heroine I really admired, She is put in a terrible situation and I did like seeing her courage and fighting spirit especially when it came to her son. Claim and Protect is the third book in this latest series by Rhenna Morgan and I can honestly say that these are some of the best books I think this author has written. There is something so unique and wonderful about this brotherhood and I fall in love with this series even more. In this book we have Trevor’s story, whom we don’t really see all that much in the previous two books and boy did I love seeing a deeper side to him. We get some fun interactions between Trevor and other members of the brotherhood, although not as much as I would have liked, but that is alright, since the romance is what blew me away with this book. It doesn’t start out with them straight into a relationship. Its more they slowly ease their way into it, at first its some great chemistry and there is a good connection between Trevor and Natalie’s son Levi. Now Levi was such a charming character, and probably one of my favorite side characters in this series so far. He is the most adorable little boy, especially in his excitement over being a “cowboy” just like Trevor. He has the exuberance of a child, but he also is very wise at times, with what he has gone through with his father makes sense. I did enjoy the way that responds so well to Trevor and wants his mother and Trevor to be together. I felt that the relationship between Trevor and Natalie was smooth and slow, how they slowly get to know each other. It was pretty wonderful to see the way they connected and the truly tender moments. Its what makes this book so powerful, is seeing them working through their issues without even fully realizing it, building trust and intimacy and it was so sweet and endearing yet powerful too. You don’t have to prove anything to me, Trevor. You do that every time you look at me. Every time you smile or touch me. I think this might be my favorite of the covers so far, has a more realistic rustic effect to it, and I like how the sun is shining behind the model, and his EYES….love it and he is exactly how I picture him in the book so it works for me. Claim and Protect is a thrilling and stunning romance, with a swoon worthy hero, a endearing heroine, a little boy that charms your soul, and a romance to make you smile and a story to melt yourself in! !